Forum for Service Delivery's manifesto focuses on Immigration, job creation - SABC News - Breaking news, special reports, world, business, sport coverage of all South African current events. Africa's news leader. The Forum for Service Delivery enjoys support in North West, Mpumalanga and the Free State. 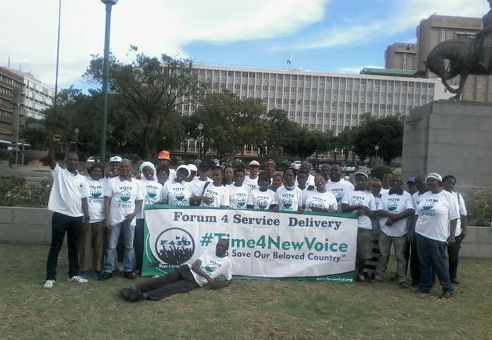 The Forum for Service Delivery (FSD) got a boost on Sunday when it took its election manifesto to Port Elizabeth. The civic movement, the African Basic Movement, has pledged to back the Forum in the upcoming poll. The party has garnered new members after the African Basic Movement pledged its support. The FSD went on a door-to-door campaign in New Brighton. Amendments to immigration policy and promises to create jobs feature prominently in its manifesto. The two organisations who shares its stance on free education and fighting corruption. The leader of party Mbahari Kekana explains their stance on foreign nationals in South Africa. They want small business enterprises to be reserved for South Africans and want policy changes to allow illegal foreigners to be deported. President Mbahare Kekana says all they want is to make a difference rather than empty promises. The Forum for Service Delivery enjoys support in North West, Mpumalanga and the Free State. They have set their sights on improving their standing in the Eastern Cape.